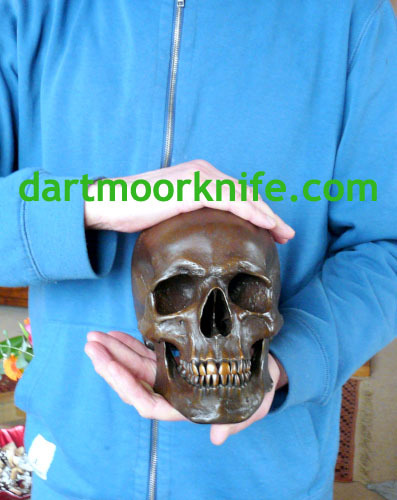 Life-Size HUMAN SKULL hand-made in Solid Bronze Completely unique Weighing in at a heavy 6.1 kg, and with a height of approx 15 cm, this stunning creation has been hand-made from Solid Bronze. 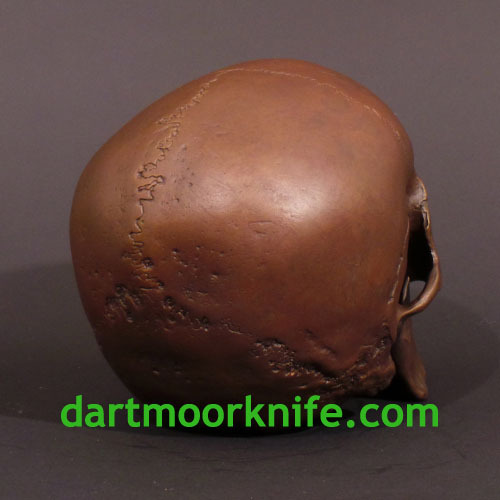 Cast from a real human skull, it is life size. 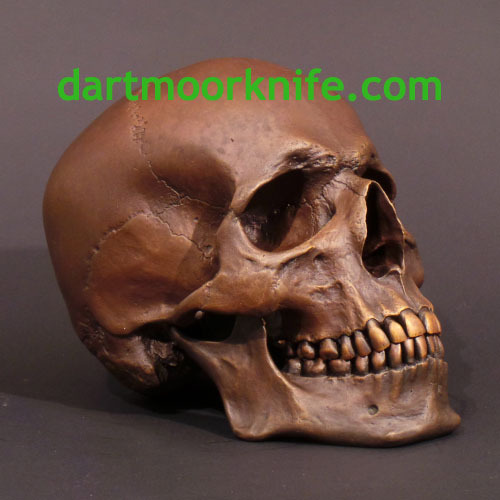 The skull and jawbone are 2 interlocking components, hinged at the temporomandibular joint. You are getting a totally unique Item of exceptional quality. Hand-crafted in a British armoury by a highly-skilled, time-served artisan, your item is a truly remarkable piece of art! 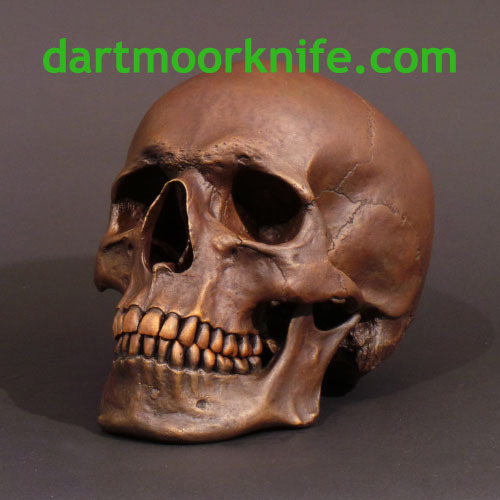 The entirely manual production of this incredibly intricate skull took the armourer 5 full days, 10 hrs each day. Its retail value is £1440 GBP. You will not see anything of this quality elsewhere. The Armoury that made your item also makes swords on personal commission for Royalty and the famous. It custom-makes items to order for discerning collectors worldwide and has a very long waiting list. 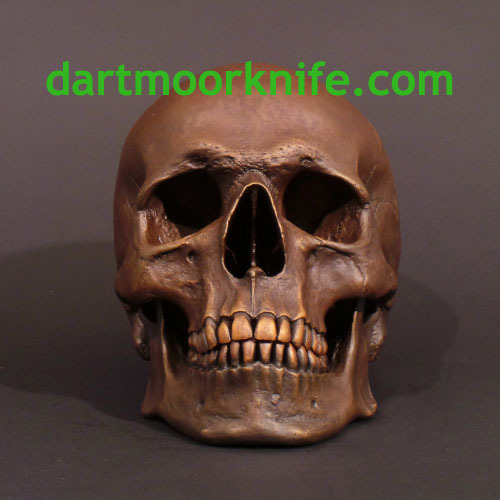 It is the supplier to the Royal Armouries’ National Museum of Arms and Armour. It also designs and makes unique sculptures for world-famous musicians. Such is its quality and craftsmanship that sums in excess of £20 000 GBP are commanded for its work.